Galway Bay Seafoods at The Docks in Galway has been named Independent Seafood Retailer of the Year for their customer retail shop The Dockside Deli. 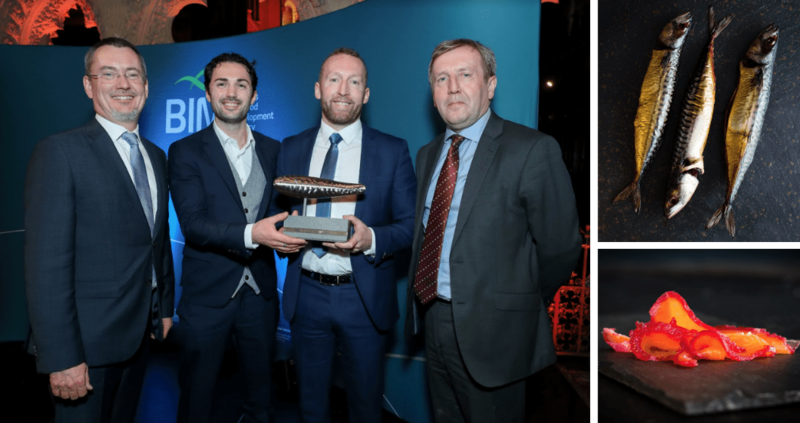 The National Seafood Awards 2018 took place in the Christ Church Cathedral in Dublin last week. Since 2016, the awards have recognised excellence and innovation within the seafood sector in Ireland, rewarding those who have gone above and beyond to promote the sector in the categories of Innovation, Sustainability, Competitiveness and Skills. Jim O’Toole, Bord Iascaigh Mhara (BIM) CEO, explained: “BIM’s ambition is for Ireland to become a global leader in sustainable seafood. Over 14,500 work in the sector. “It contributes €1.15 billion to our economy and is vital to many of our coastal communities. Galway Bay Seafoods has been serving the people of Galway and beyond with quality seafood for more than 70 years through a family tradition of craft fishmongering and have recently launched a new addition to the business in the form of The Dockside Deli. Noel Holland, owner of The Dockside Deli by Galway Bay Seafoods, said: “Though tradition is strong within the business, Galway Bay Seafoods has always adapted and changed to keep ahead of the pace, and we are thrilled to see this recognised as we are named Best Independent Seafood Retailer of the Year. The Dockside Deli by Galway Bay Seafoods offers a whole new seafood experience for visitors with ready-to-eat and ready-to-cook seafood and fish options, alongside a forward-thinking and creative menu of hot daily specials cooked by in-house professional chef Kevin Hynes, which revolves around whatever comes into them fresh on the day. “We are delighted to win this award which is recognition of our efforts to ensure locally and ethically caught fish and seafood is readily available, and help to get the public eating in a fresh, healthy and sustainable way,” said Kevin Hynes.